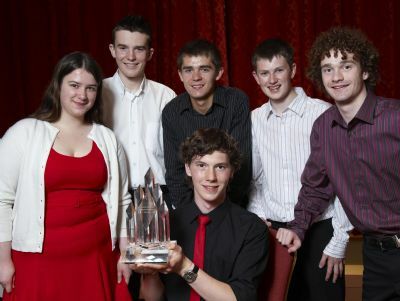 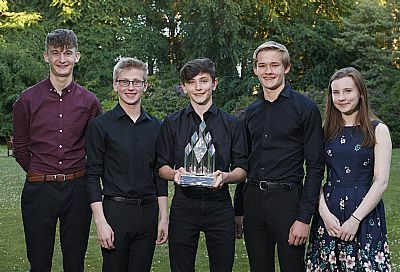 2018 finalists (L to R): Ruairidh Jones (saxophone); Jonathan Mackay (violin); William Hodi (piano); Jamie Philip (trombone); Kirstie Ritchie (french horn). 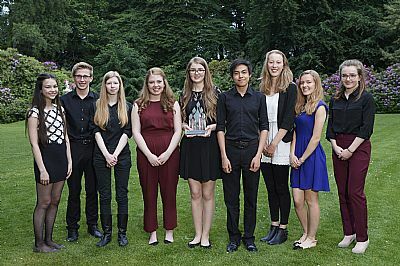 Catherine Mackay (viola); Jonathan Mackay (violin)(f); Saffron Wittka-Jezewski (piano); Sophie Cushnie (violin)(f); Rhona Mackintosh (violin)(f); Sandy Scott-Brown (cello)(f); Jemimah Morris (saxophone)(f); Caera Douglas (flute)(f); Rosie Morris (trumpet). 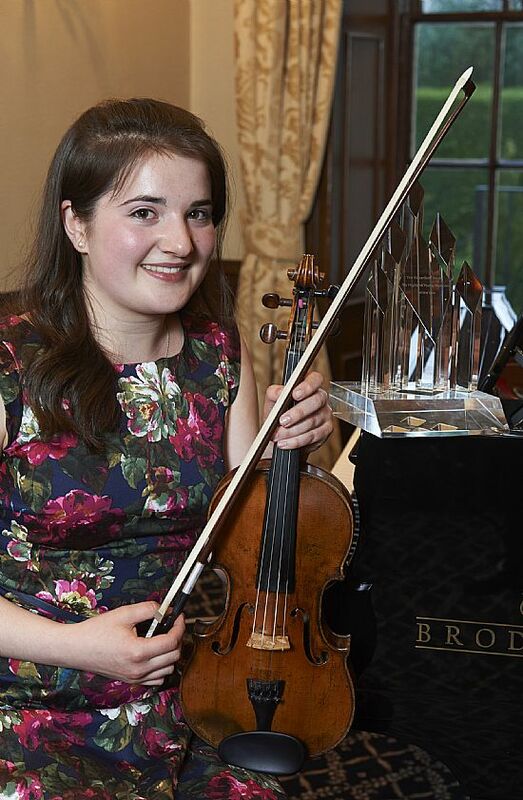 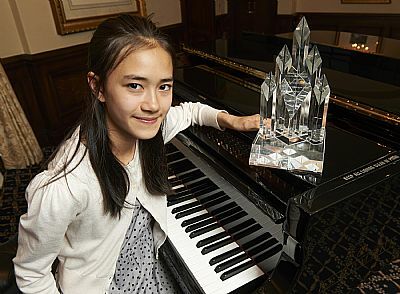 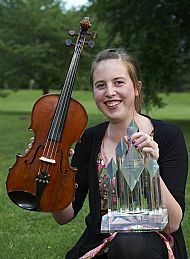 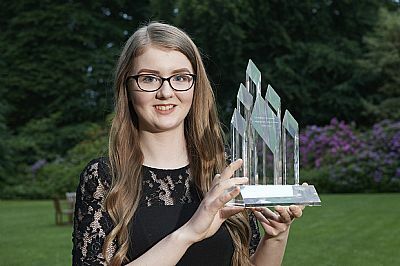 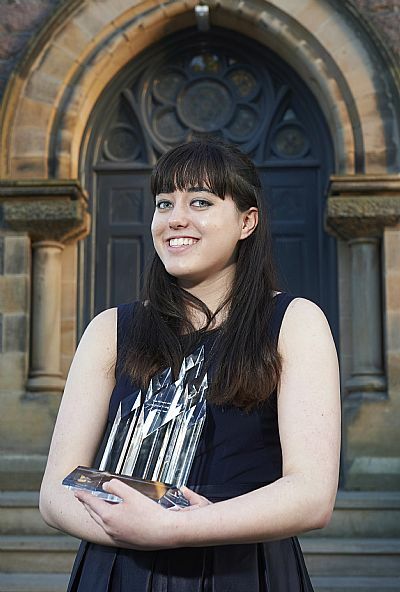 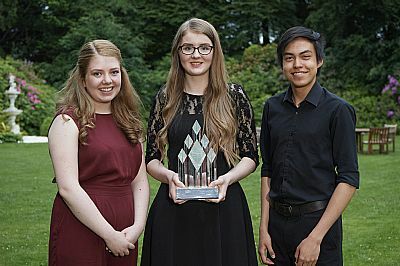 Pianist Molly McGregor - Highland Young Musician of the Year 2013. 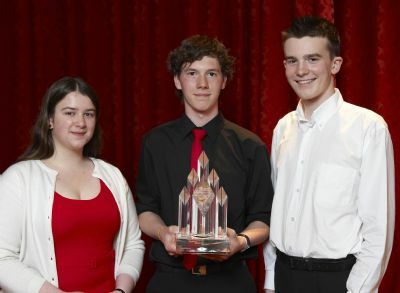 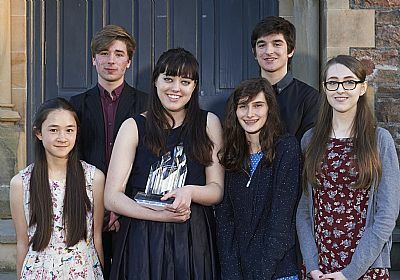 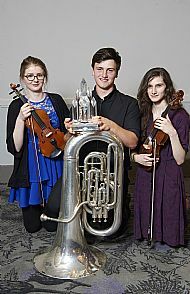 Findlay with the Richardson Trophy for Musical Excellence, with Rebecca Amphlett (Grantown Grammar), runner-up and Bruce Foster (Dingwall Academy), most promising talent. 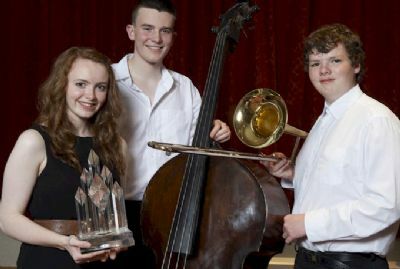 After a weekend of intensive rehearsals and performance, five of Highland’s most talented young musicians took part in the annual Highland Young Musician of the Year competition. 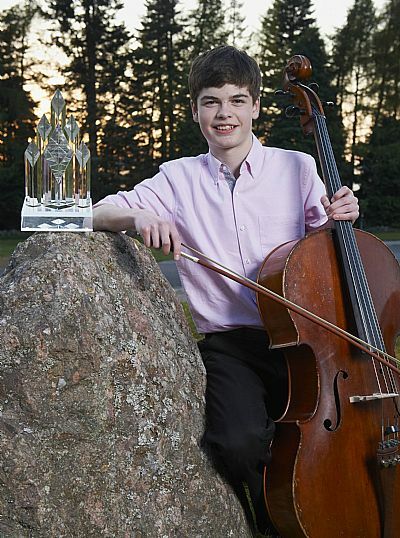 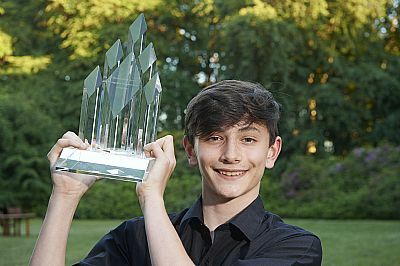 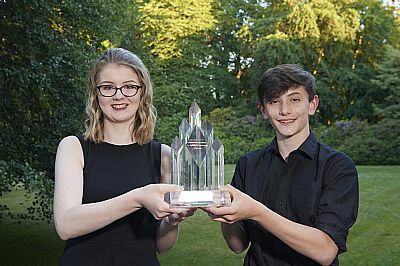 The judge’s decision awarded violinist Emma Donald from Dingwall Academy the top prize and Richardson Trophy for Musical Excellence with Millburn Academy’s Hector Waudby-West being placed as runner-up for his performance on the double bass. 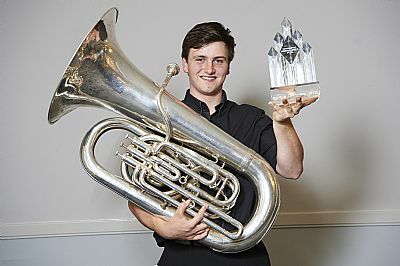 The ‘Most Promising Talent’ award was given to Peter Thornton, a trombone playing pupil also from Dingwall Academy. 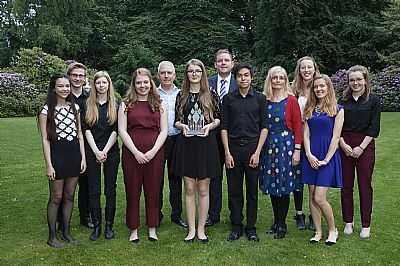 Each year as the Richardson Trophy for Musical Excellence is passed on to the new winner, an engraved quaich is presented for the previous years winner to keep. 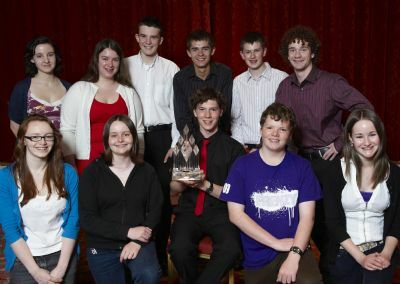 The Friends of Highland Young Musicans generously donate the quaich.